Boehm, H.-D.V., Liesenberg, V., Frank, J. and Limin,S. In August 2007 and 2011 we mapped by helicopter different PSF transactions with Riegl LiDAR Technology (LMS-Q560) in Central Kalimantan, Indonesia. 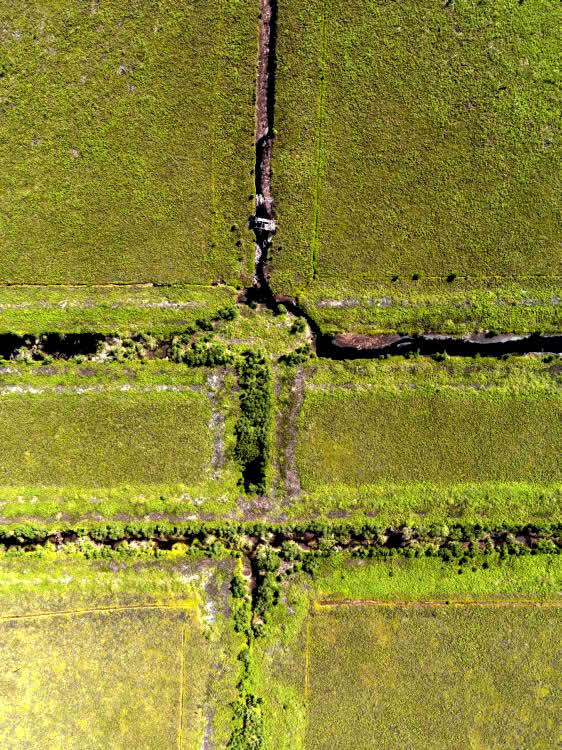 In this study, our main objectives were: a) to describe our activities during the multi-temporal LiDAR survey; b) to evaluate the peat swamp forest resilience with multi-temporal LiDAR observation; and c) to demonstrate our future activities concerning to the applicability of LiDAR technology in different environmental applications. Additionally, we demonstrate first results of our second LIDAR survey made in August 2011. We found by multi-temporal LiDAR approach that in an undisturbed tropical PSF area the average tree-height increased from 15.32m to 17.18m by difference of 1.86m which is 12%. The presented LiDAR-methodology can be promising in the frame of the REDD+ (Reducing Emissions from Deforestation and forest Degradation) knowledge of tropical peat swamp forests. The LiDAR technology supports the MRV aspect of REDD+ (Monitoring, Reporting, and Verification). Keywords: Peat Swamp Forest, LiDAR, ALS, REDD and EMRP.